The fourth generation of the high performance QUINT power supply units ensures superior system availability by means of new functions. Signalling thresholds and characteristic curves can be individually adjusted via Near Field Communication (NFC) interface. The unique Selective Fuse Breaking (SFB) technology and preventive function monitoring of the QUINT power supplies increase the availability of your application. QUINT 4 power supplies standard products are already equipped with comprehensive diagnostics that provide constant monitoring of the output voltage and output current. This preventive function monitoring visualizes critical operating states and informs the controller of them before errors occur. Why are the QUINT 4 power supplies called a SMART power supply unit? Even standard circuit breakers can be tripped reliably and quickly with SFB technology and withstand six times the nominal current for 15ms. Faulty current paths are switched off selectively, the fault is located, and important system parts remain in operation. Example: Normal Power Supply Unit will take around 8-20 seconds to trip the circuit breakers. In this duration, the end device is drawing maximum power from the power supply unit which may cause the end device to be burnt. In this aspect, the QUINT 4 power supply unit ensures that the end device is well protected, thanks to the SFB technology. With Near Field Communication (NFC), you are able to set the parameters for the power supplies easily by using a mobile phone or PC, adjusting signalling thresholds (current/voltage/power can be set differently depending on use). This saves time, minimises errors and facilitates customised applications. Example: In a large scale project, the parameters of the power supply units can be easily set and also duplicate the rest of the QUINT 4 power supply units by using the NFC function. The parameters, MTBF (Mean Time between Failure) and serial numbers of the power supply unit can be displayed on the mobile phone or PC by NFC when it is online without interrupting the operation. Security passcodes can be set to prevent unauthorized personnel changing the parameters of the power supply unit. Diagnostics on the bar graph help during operation and maintenance. The user is able to visualize the status of the QUINT 4 power supply unit during maintenance checks. The load current is able to be displayed as a percentage status on the bar graph. This enables the user to upgrade or maintain the panels in the future without using additional measuring tools like multimeters. Critical operating status can be reported before errors occur. This flexible function is provided by a variety of contact configurations (relay contact, digital signal, analog signal, optical bar graph). These contacts allow the monitoring of output voltage, output current, output power, operating hours, prewarming derating, overvoltage protection and input voltage. Easy system extension with static boost with sustained power of up 125% of the rated load current. Increase of power for the future without additional power supply unit, which leads to a reduction of extra cost. Reliable starting of heavy loads with dynamic boost with up to 200% power for 5 seconds – for components with high inrush current. Example: When powering up a motor, the initial start will require high power from the power supply unit before going back to its nominal current state. The QUINT 4 power supply unit is able to start this application smoothly without disturbing the other components in operation. Due to an integrated gas-filled surge arrester, the QUINT 4 power supply unit is protected from any transients from the incoming supply. More than 20ms mains buffering time – in case of any power dip, the QUINT 4 power supply unit will maintain a suitable output. High MTBF > 500,000 hrs – estimation of more than 50 years, assuming 24hours operation. International approval – Class 1 Div 2, IECEX, ATEX, CE, UL, GL, EAC etc. Input voltage of 100 – 240Vac or 110 – 250Vdc. Automatic switch enables simple plug and play in any part of the world. QUINT POWER 4 is the power supply that is truly a SMART Power supply. If you have any queries, feel free to contact me via the form below! Upon mentioning PCB connection or PCB connectors, one of the first things that usually come to mind is an Electronics board for various applications. When electronics are involved, most manufacturers of connectors cater their designs to digital applications for modern devices such Smartphones, Tablets, Laptops, LED TVs, Set-Top Box and simple remote controllers. For the above mentioned, design engineers, electronics designers, field application engineers, sales engineers and module designers often overlook the challenges or requirements needed for Industrial Electronics. Most PCB or Industrial Control boards in Industrial Electronics are required to take-in high levels of in raw current, for the heavy duty tasks of operating motors, sensors and measuring equipment needed on modern devices. New generation versions of Vision Inspection, Test System, Pick & Place, Bonding, Dicing, Conveyors and Ovens, utilizes loads that go up to 60A and 80A AC Voltage. Typically, such high current capacity demands stringent safety features and equipment to be rigorously tested in high temperatures to ensure reliability and safety, in order to prevent catastrophic breakdowns of such systems. From Phoenix Contact’s vast array of devices, Combicon Power is tried and tested to be the most suitable and reliable High Power Connector available in the market. Phoenix Contact’s Combicon Power are certified in UL, VDE and EAC, to ensure standards are in place giving customers ease of mind when adopting Combicon Power. Phoenix Contact’s MKDS 10, MKDSP 10HV, IPC 16, PC 16, PC 4, PC 5, HDFK and UW, were all adopted and used in two of the most notable Test and Management MNCs in Malaysia, in the Test and Measurement Systems produced by these MNC. When your applications, products or modules are Power Hungry, and yet you need a safe, proven and reliable Power Connectors, Combicon Power is the answer to your needs and concerns. Feel free to contact us via the form below to find out more! Phoenix Contact has been serving the railway industry for decades, especially for rolling stock and signalling. Safety and reliability has always been our number one concern when developing products for railway applications. The basic requirement for safety and reliability is standard compliance. Phoenix Contact has been certified by the International Railway Industry Standard (IRIS) since April 2008 and this standard is based on the quality management standard DIN EN ISO 9001, which has been extended with international railway-specific requirements. The ongoing tests during the development and production cycle of the products are essential to guarantee the product quality. On top of that, all rail-specific products from Phoenix Contact fulfill the standards of DIN EN 50155, an international standard covering rolling stock; DIN EN 50121 electromagnetic compatibility; and EN 45545, fire protection on rail vehicle. Besides, shock and vibration test, material test and other fire protection is also critical for the railway application. Safety should not be limited to the big ticket items and should even be extended to the passive component level. For example, the cable markings like shrink sleeve should be halogen-free and fulfill DIN 5510-2 with an oxygen index of 34.9%. besides being halogen-free, the cable ducts should enable individual bars to be broken without using any tools or resulting in any burr through defined breaking points according to EN 45545-2 (R22/R23:HL3). Behaviour in fire is another key concern and the plastic used for Phoenix Contact’s terminal blocks is halogen-free polyamide PA 6.6; which meets the highest safety requirement of UL 94 V0. Nowadays, commuters demand for “Internet on board” has made the information and infotainment systems essential in trains. The M12 network connectors with a mechanically robust design, in compliance with IEC 61076-2-101, together with high quality cables meeting the requirement of EN 45545-2 will ensure reliable communications. The heavy-duty connector, compliant with IEC 61373, with modular contact inserts form a flexible and safe transmission of signal and power circuit on rolling stock carriage connection and simultaneously ensures comprehensive protection in the event of electromagnetic interference fields. Surge voltages and lightning strikes are common issues in signalling, hence the surge protective device (SPD) become significantly important to maintain reliable signal transmission. Phoenix Contact’s SPD has been tested according to IEC 61643-21 and the plug can be disconnected for test and maintenance by using the portable test laboratory. According to IEC 62305-3, the SPD must be tested regularly and the test values should be documented and traceable. Additional features like multi-stage monitoring (green – operating, red – fail and yellow – reach performance limit) for predictive maintenance and remote signalling for early detection of overloaded SPD can help to further enhance reliability. The power supply unit (PSU) is used to convert main AC to low-voltage regulated DC power and it should at least be compliant with EMC Directive 2014/30/EU, IEC 60950-1, DIN EN 61558-2-16 and UL 508. To ensure smooth operation and maximum uptime, the redundancy setup of the power supply cannot be overlooked. 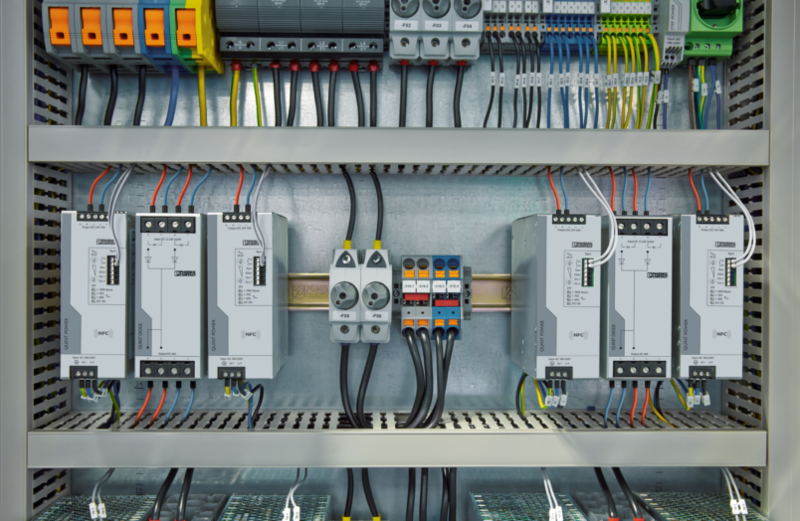 A redundant system can made up of two power supplies and a diode or Phoenix Contact’s O-RING to prevent back flow of current. An ORING being a more advanced and modern redundancy module compared to the diode, comes with auto-current balancing (ACB) technology which ensures the power supplies work equally hard. This enables the power supplies to have a longer and more consistent lifespan. The redundancy status as well as the status of the ORING can be monitored, whereas this cannot be done with a DIODE. The PSU becomes more reliable and dependable when it is capable of sending analogue signals to control system on measurement values such as real time current, voltage and power for early detection of operational fault as well as critical information to the user. Phoenix Contact will continue to develop the products or solutions that suit railway application and safety and reliability will always be the top concern on top of ease of installation, operation and maintenance. To find out more about the solutions that Phoenix Contact has for the railway industry, check out our website or leave me your contact and I will get in touch with you as soon as I can. Have you heard of Phoenix Contact’s QUINT POWER range of power supplies? If you have not, where were you! Our QUINT power supplies have been consistently making waves as THE power supply fit for any industrial use. It is that good that Phoenix Contact has released the fourth generation of the high-performance QUINT POWER range, only this time it’s spearheading the industry by embracing the spirit of IIOT. Our QUINT POWER is the one and only power supply in the market to incorporate Near Field Communication (NFC) technology. This feature is the latest addition to the already proven power supply unit that comes with SFB (Selective Fuse Breaking) technology, preventive function monitoring, high noise immunity as well as Power Boost. The Power Boost technology allows the power supply unit to withstand indefinitely 125% or tolerate up to 200% of its maximum rated output current for 5 seconds without malfunctioning. You heard that right, up to 200% of its maximum output current unlike others who would be fried to a crisp right about now. Not just a Power Boost but empowering People too! This technology allows users; engineers or technicians, to read and download configuration data of the power supply with any NFC enabled devices such as smartphones or tablets. All you need is an Android device and you’re good to go. This will also be handy at industrial sites during commissioning or maintenance where more often than not, there will be unforeseen circumstances where configuration cables are misplaced or worse laptops are not downloaded with the configuration software. Another practical advantage is that the NFC technology allows configuration to be done in places that have low accessibility. Examples are hard to reach places such power supply units that are installed at tight, very high or very low positions where it is difficult to carry a laptop. Laptops can be bulky and requires a power supply to read power supplies (oh the irony). With smartphones and NFC, you could read data through the palms of your hands. The QUINT POWER configuration App can be downloaded for free from the Google Play Store. Say goodbye to legacy multi-meters and expensive devices! Who says you can’t use your phones on the job. I’m super excited now! Tell me more…..
Configuration data such as device details, output voltage, output characteristics, signalling and control input mode can now be read, configured and then be downloaded without any need for physical cabling to the power supply. Surely with the QUINT you’ll be seeing increase in productivity. Without the access baggage -laptop and configuration cable – it reduces the time needed for configuration especially for projects with large quantities of power supply units. The QUINT POWER power supply range can be used in various industries such as oil and gas, transportation, water, marine, power and chemical facilities as well as in the factory automation and manufacturing facilities where reliability and technical superiority are highly valued. So if you’re looking for POWER SUPPLIES, look no further. Our QUINT 4 is your answer. With NFC enabled you’ll be giving your business the power of electricity, in your hands. If you are interested to find out more about our Power Supplies, check out our website or leave us your contact and I will get in touch with you as soon as I can. The Land Transport Authority (LTA) recently awarded a tender for the Intelligent Transport System (ITS) to one of their system integrator to setup effective system for monitoring of traffic situation at junctions. The system, which is part of the Smart Nation Initiative Program, will automatically alert the operator of the traffic volume so that remedial actions can be taken promptly. The Intelligent Transport System (ITS) is at the heart of what keeps us safe on the roads and tunnels system in our city. In land-scarce Singapore, ITS’s sophisticated traffic and control system will maximize road network efficiency capacity as well as monitor and manage the traffic flow. The ITS infrastructure spans over 164km of expressways and road tunnel system, including Kallang-Paya Lebar Expressway(KPE), Marina Coastal Expressway (MCE), Central Expressway (CTE), Fort Canning Tunnel (FCT) and Woodsville Tunnel (WVT). Our partner in Singapore has worked wholeheartedly with this system integrator, from design to testing and finally, to the implementation with our UPS-IQ. Together with our partner, we set up the actual UPS and communication system to show to the system integrator. This was to provide the proof of concept to simulate the system. A demonstration of the UPSconfigure software allowed the UPS system to be integrated seamlessly into the innovative application from the special system by the system integrator. The system will be manned by LTA. High MTBF – Higher MTBF (>600,000 hours) as compared to most of our usual competitors ensures more reliabilty. Modbus Enabled – This has enabled the system to be communicated within the same network. It allows the system to be monitored from the main control room without additional hardware which translates into lesser points of failure and eventually to cost savings. Monitoring software (UPS Config) – The UPSconfigure feature allows the innovative application of the system integrator proprietary software to be integrated seamlessly into their application. This speeds up the deployment process and allows the system integrator to make more efficient time, labour and tools deployment. If you would like to find out more about our UPS-IQ, check out our website or just leave us your contact and I will get in touch with you . On 7 July 2017, Phoenix Contact Singapore Team organised a’ Dining in the Dark’ event as part of Corporate Social Responsibility. In the short 2 hours without our sight, we experienced a range of emotions such as fear and helplessness. This event also allowed us to understand the challenges that persons with visual impairment faced daily. It is truly a meaningful event that we are thankful to be able to experience with the friends we made from work. Push-in connectionThis connection method is fast, do not require special tools, safe, ensure consistent and good connection for every insertion and ideal for areas with high vibration. Most importantly, unlike screw connection, over time, push-in connection does not loosen. QTC connectionThere is no need to strip the wire using QTC connection, making it the fastest way for wire installations. Moreover, Phoenix Contact QTC terminal blocks do not require special tools! Especially for CT testing, where you have to make the testing circuit before breaking the transformer circuit, it is important to ensure that the “make-before-break” is done properly! Failure to do so results not just in power outage, but often death. Our solution is our range of test disconnect terminal blocks, clearly labelled to ensure operators know exactly what is being done. There are also ample spaces for accessories for you to do the necessary bridging and testing. 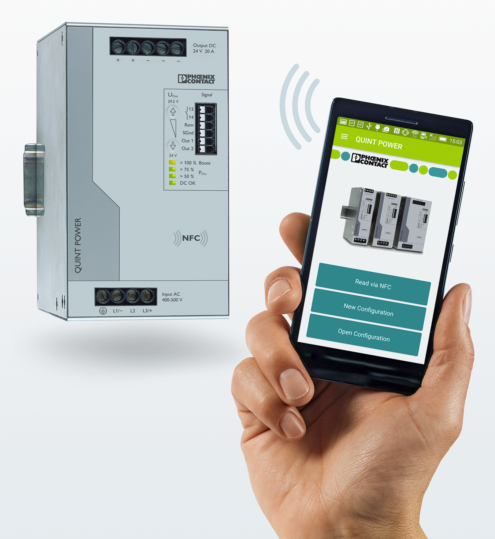 Offering inspiring innovations, Phoenix Contact has come out with a test disconnect system. Instead of manually doing the switching, why not let our system take care of it for you with Fast And Modular Energy system (FAME). Usually in substations, there will be 110VDC power supply. However, most electronics components (remote IO, network switch, RTU) requires 24VDC/48VDC power input. For this purpose, many substations around the world choose Phoenix Contact Quint IV Power Supply. High noise immunity, thanks to integrated gas-filled surge arrester and more than 20 ms mains failure buffer time. Moreover, Phoenix Contact Quint IV Power Supply comes IEC61850-3 certified. This means that the unit can be used even for IEC61850 applications! With a wide range of relays, Phoenix Contact has the right solution for all standard relay applications, such as interposing relays. Our relays with push-in termination technology provide fast and easy tool-free wiring. Simply push the wire into the terminal , using very little force. Remove the wire by pushing done on the release button, using a screwdriver or ballpoint pen. Reduce your wiring time up to 70 percent by using our modular terminal block plug-in bridges. These time-saving bridges ensure a reliable connection and reduces the possibility of wiring errors. Substations have high EMC and electrostatic interferences. They are also generally not places that people like to hang around in! Heavycon can help to reduce installation/maintenance time and at the same time, ensure reliable power/data/signal transmission. With a modular system, you can combine Fibre, Ethernet, Serial, signals, power all in 1 connector! To find out more on how Phoenix Contact's products can help you, send us an inquiry below. Our local representative will get in touch with you shortly. 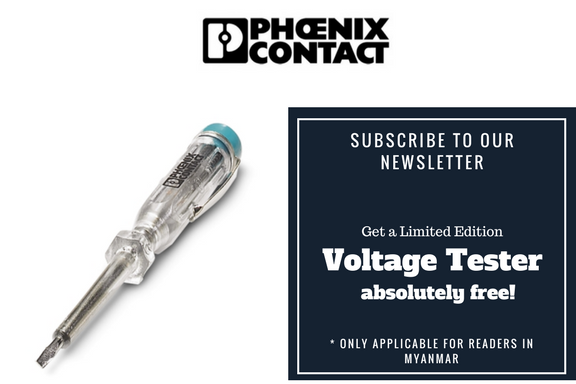 *For readers in Myanmar, get a limited edition Voltage Detector/ Test Pen if you submit your email below, absolutely free! We'll get in touch on how we can deliver it to you. By signing up, you'll get the latest updates on articles regarding projects in Myanmar, invites to our seminars and customized consultations with our representatives. The power supply is typically the largest processor of power in the cabinet and therefore power efficiency is an important factor. Low-efficiency power supplies translate into extra heat in a control cabinet, which necessitates the need for a larger cooling system, resulting in higher energy consumption. Engineers need to be aware of the efficiencies of the power supplies they design into their control systems. The typical temperature within a control cabinet operating at 80% nominal power measures approximately 30°C; assuming the power supply is 92% efficient. However, if the power supply is 2% less efficient (90%), it may increase the temperature in the cabinet by as much as 10°C. Most power supplies today have an efficiency rating above 90% but there is still room for improvement in terms of energy efficiency by the way we load our power supplies. The best practice is to ensure that the power supply has only 50% loading. If your project requires 5A of power, choose an efficient power supply that is able to offer 10A. This ensures that at the maximum operating capacity of the design, you are always running at 50% loading (assuming no additional loads were added to the system). But how do you know if your power supply is supplying 50% to the load? You can always use the tried and tested way of using the multimeter. Phoenix Contact’s new QUINT 4 power supplies have onboard power LEDs displays that will let you know at what level of output your power supply is performing. 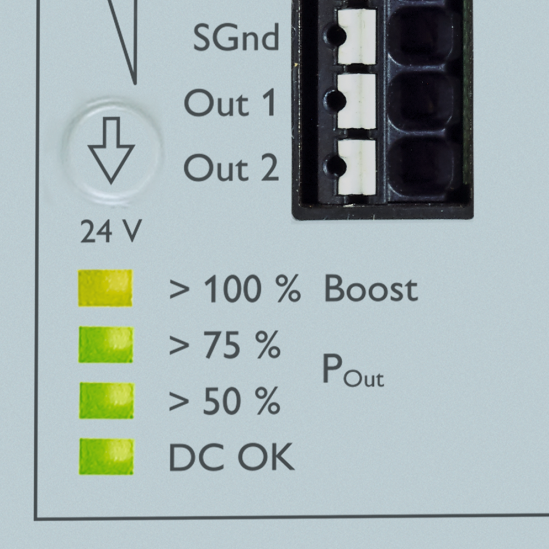 The LEDs will let you now if the DC supply is “On“, performing at “>50%“, “>75%” or “>100%“. Even without a multimeter, you will be able to determine the current loading of your power supplies in real time. In my next article, I will show you how to create a redundant, balanced power supply system that will provide you with adequate power efficiently and also extend the life of your power supply. Click Here to find out more about Phoenix Contact’s QUINT 4 Power Supply. We will be participating at the 4th International Electric Power and Renewable Energy 2016 Myanmar Exhibition from the 13th – 15th of October at the Myanmar Event Park (MEP) in Yangon. Come down and join us to find out more about what we can do for you in the area of Power generation and transmission and solar. We are located at G16, Singapore Pavilion. Click here to register at the event’s website. 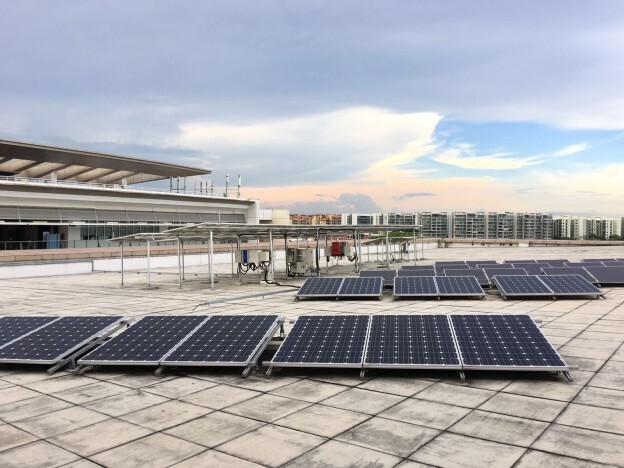 The Photovoltaic (PV) monitoring system was designed to monitor the performance of the PV panels’ output versus the temperature on the PV panel. There were two different types of PV panels used for monitoring, namely the mono-crystalline and amorphous silicone (Thin Film). The data that was collected were the DC output and the temperature on the PV panels. 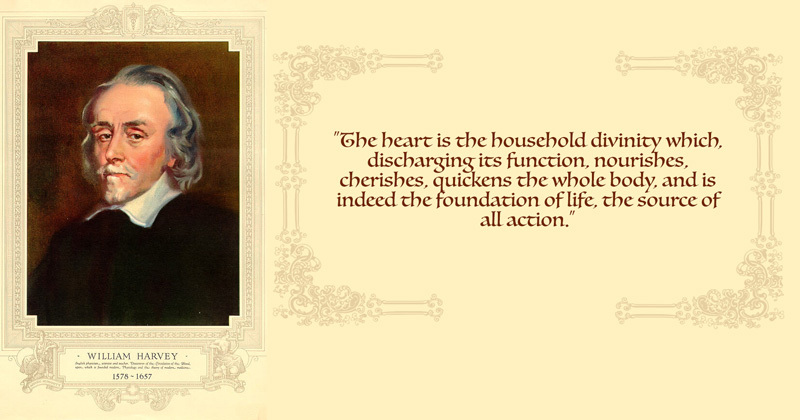 In the course of my work, I deal with Power Supply which is the heart of the whole electrical operation. While not all operations are the same, they cannot function without electricity, which is what makes Power Supply units indispensable. The new Phoenix Contact’s Quint 4th Generation Power Supplies feature an integrated NFC interface for parameterization via mobile devices or PCs. This allows the commissioning engineer to closely match signaling thresholds and characteristic curves to the plant’s requirements. More than 40 parameters can be configured on an individual basis. Once the power supply has been parameterized, it is a simple task to transfer the settings to other devices via the app or other software, which will save effort and time for the user. Moreover, the front-panel buttons for adjusting the output voltage, as well as all other configured parameters, can be protected with a password to prevent unauthorized access and tampering. The power supply offers preventive function monitoring to allow the plant operator to run remote diagnostics on the unit to optimize plant availability. The power supply permanently monitors the output voltage and current. Critical situations are visualized using front-panel LEDs, floating relay contacts, and active signal outputs; the monitoring data is signaled to the control system before a fault actually occurs. When the power supply unit is supplying more than the specified rated current, it is operating in boost mode. The power supply and the connected loads continue to operate normally, and the output voltage remains at 24 V DC. Preventive signaling allows early detection before a fault like this actually occurs. For instance, once a motor with a mechanical problem has been identified, it can be repaired before other loads are subjected to voltage dips. Such preventive capabilities of our power supply units work just like how we manage our heart health to ensure we can function smoothly in our everyday operations. It is thus pivotal to ensure that we have a reliable and intelligent “heart” in the form of our trusted power supply units for our businesses.